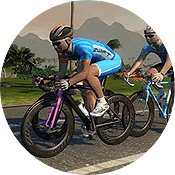 Tomorrow twenty of the world’s top Zwift racers will be battling it out in London at the CVR World Cup event. Here’s everything you need to know to join in the fun! The men’s race consists of 5 UK riders and 5 riders from other parts of the world. 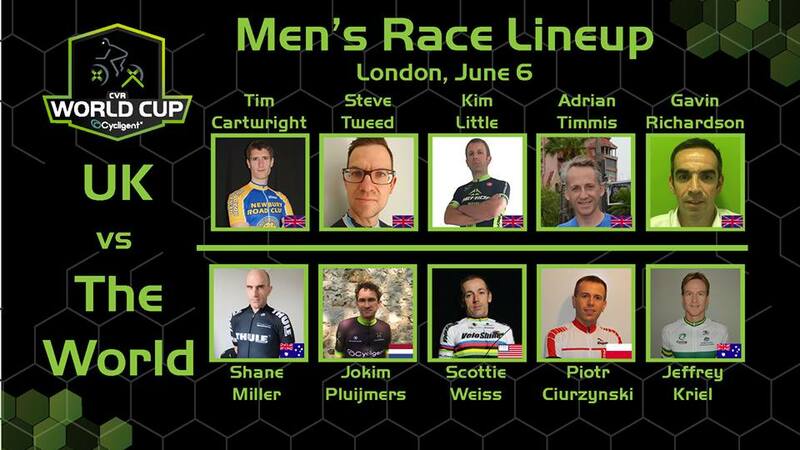 Team UK: Tim Cartwright, Steve Tweed, Kim Little, former TdF rider Adrian Timmis, and Gavin Richardson. The women’s race will also consist of 5 UK riders and 5 riders from elsewhere. 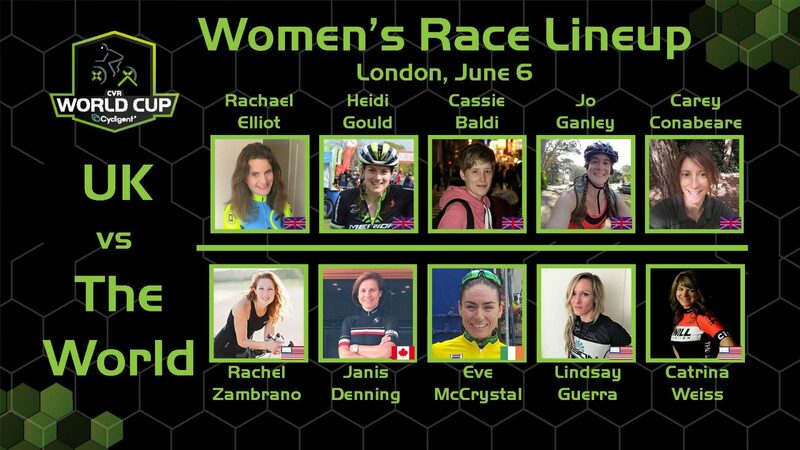 Team UK: Rachael Elliot, Heidi Gould, Cassie Baldi, Jo Ganley, and Carey Conabeare. Team “The World”: Rachel Zambrano, Janis Denning, Eve McCrystal, Lindsay Guerra, and Catrina Weiss. 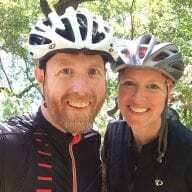 Most people will be watching via the live stream at worldcup.cycligentrankings.com/stream/. The stream will begin broadcasting at 5:05 pm UK time (GMT+1) or 12:05PM EDT/9:05 AM PDT. Ladies race starts at 5:50 pm, Men’s race starts at 8:10 pm UK time. 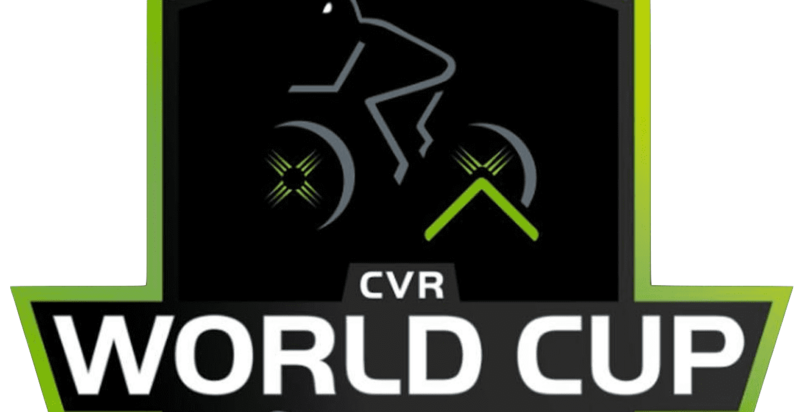 Follow CVR World Cup on Facebook, @cvrworldcup on Twitter, and visit worldcup.cycligentrankings.com. It’s gonna be some race ….. GR? ?